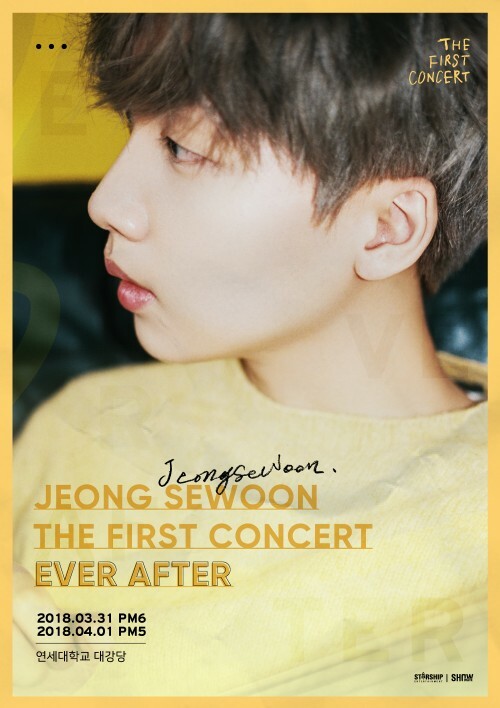 Singer Jeong Se-woon has sold out his first solo concert, showing off his "ticket power." The tickets for the singer's first solo concert "EVER-AFTER" went on sale on Tuesday at 8 pm through online ticketing site MelOn, and all the seats sold out within 30 seconds. The two-day concert will be held on March 31 and April 1 at 6 pm and 5 pm, respectively, at Yonsei University in Seoul.